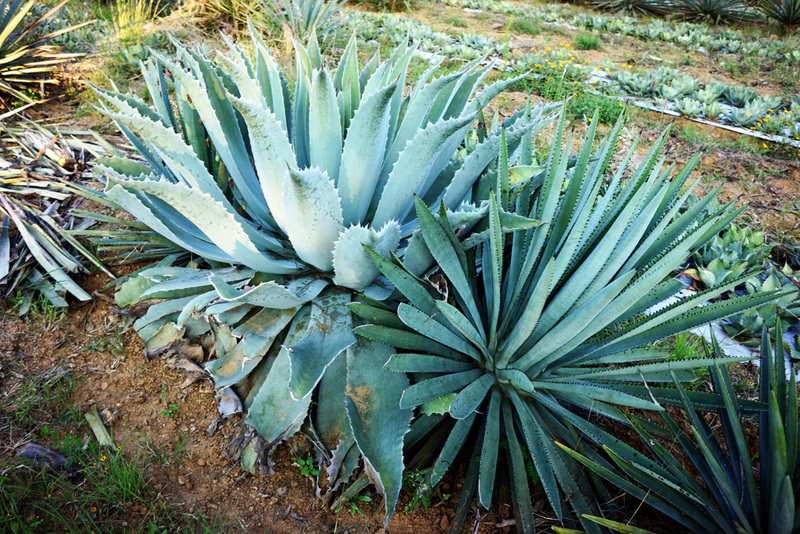 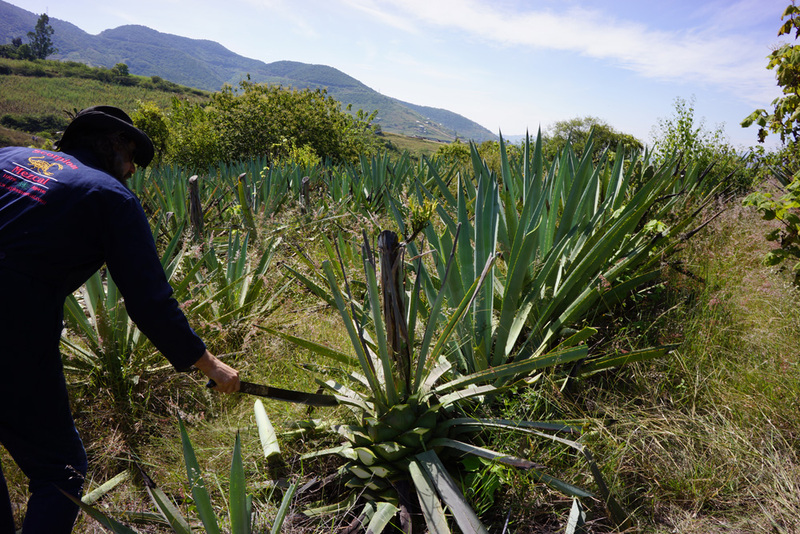 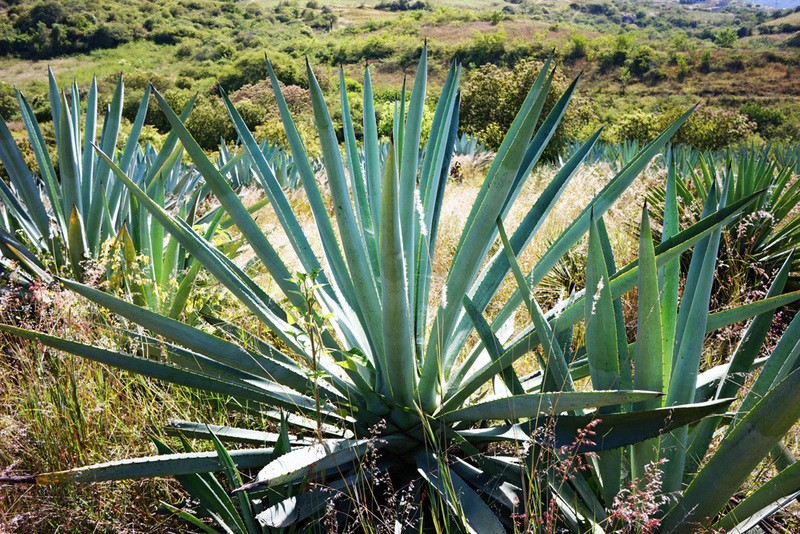 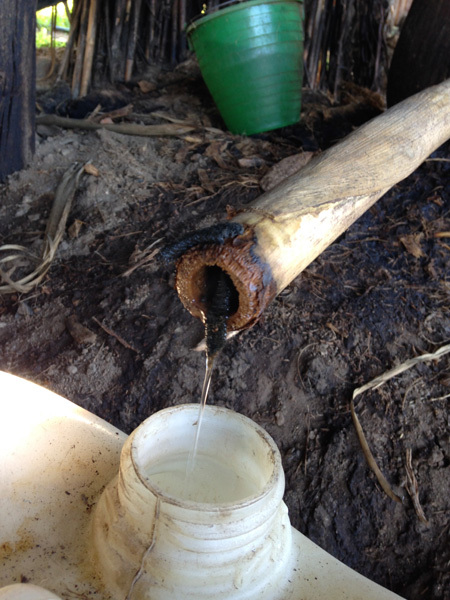 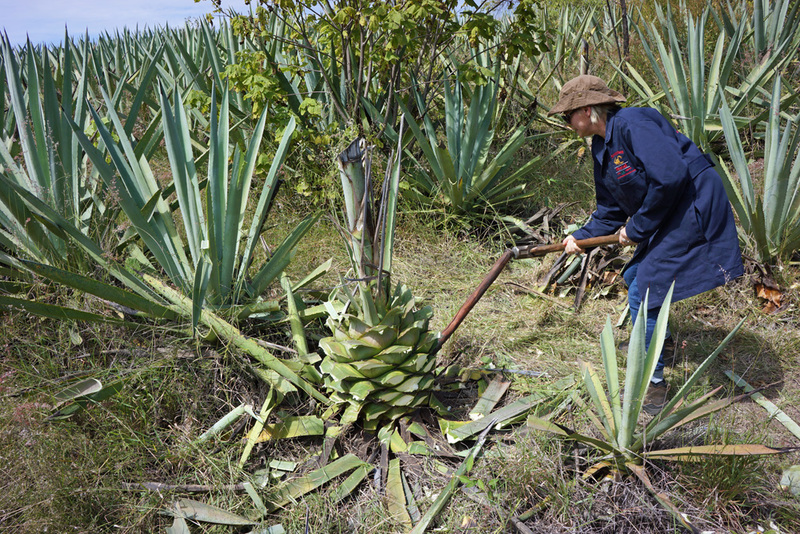 All Mezcals, which includes Tequila, are made from Mexico’s native agave plants. 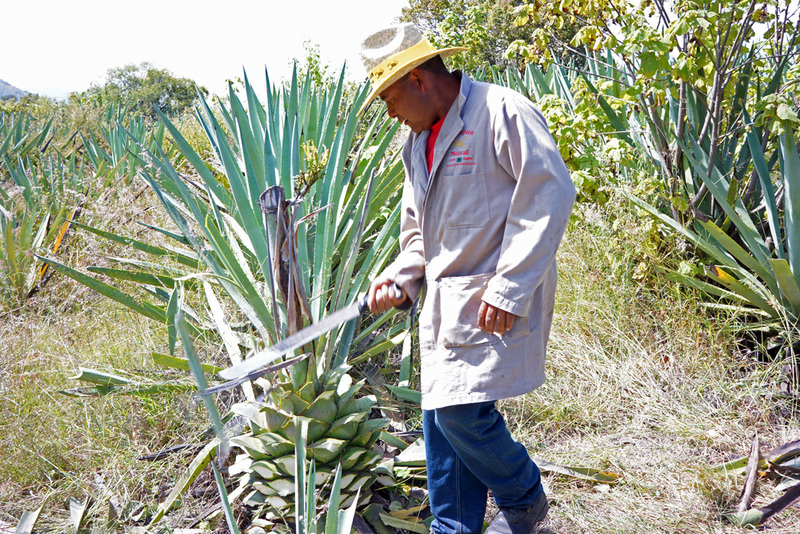 Tequila distinguishes itself from other Mezcals because it is made from only one particular variety, the Blue Agave, and most production, by law, takes place in the western state of Jalisco. 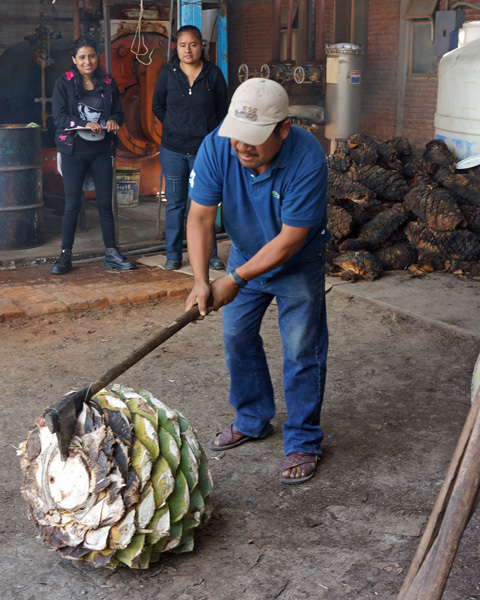 Mezcal, on the other hand, can be made from approximately 25 different varieties of the agave plant, which are often blended together, and the heart of Mezcal production is in the southern state of Oaxaca. 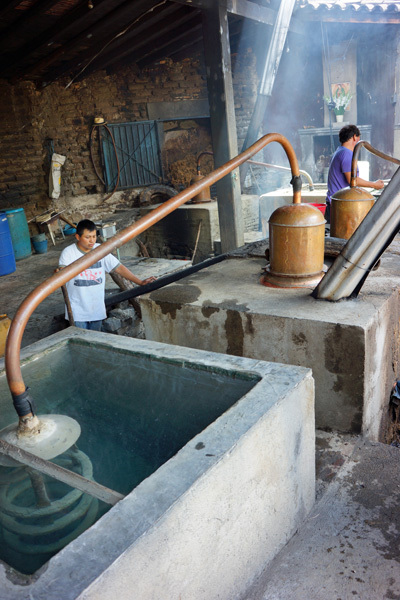 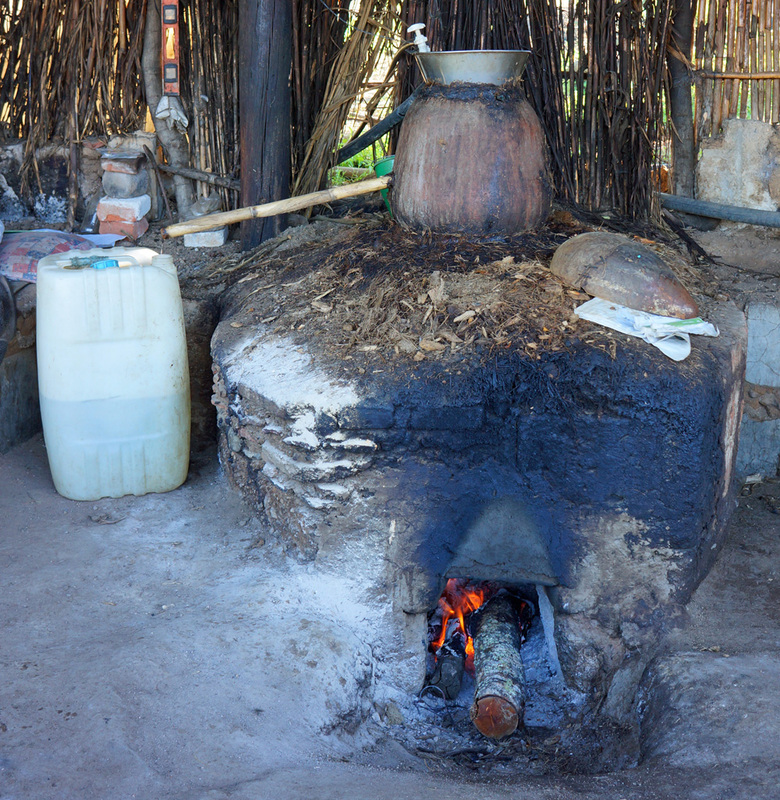 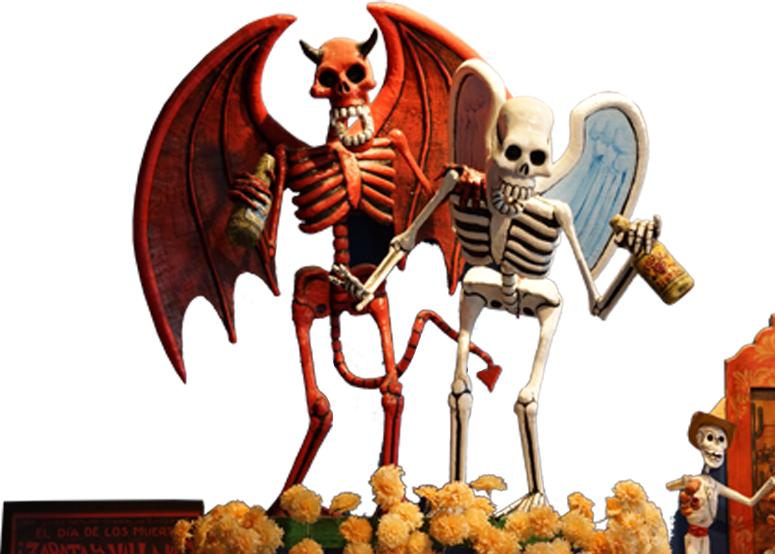 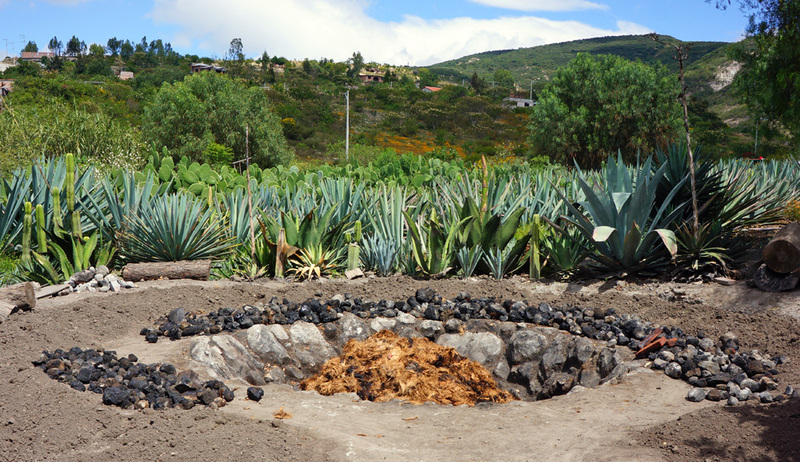 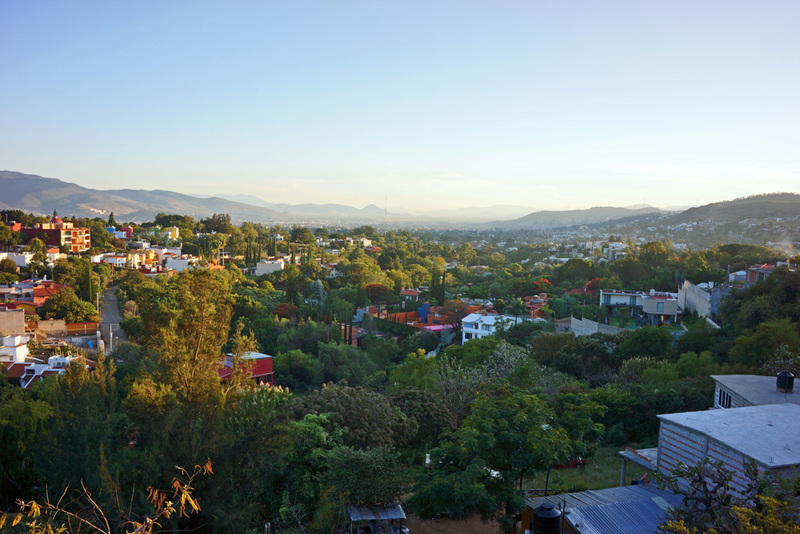 Mezcal is the Western Hemisphere’s oldest distilled spirit. 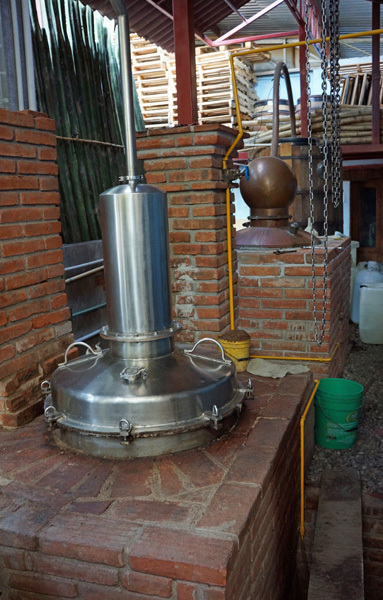 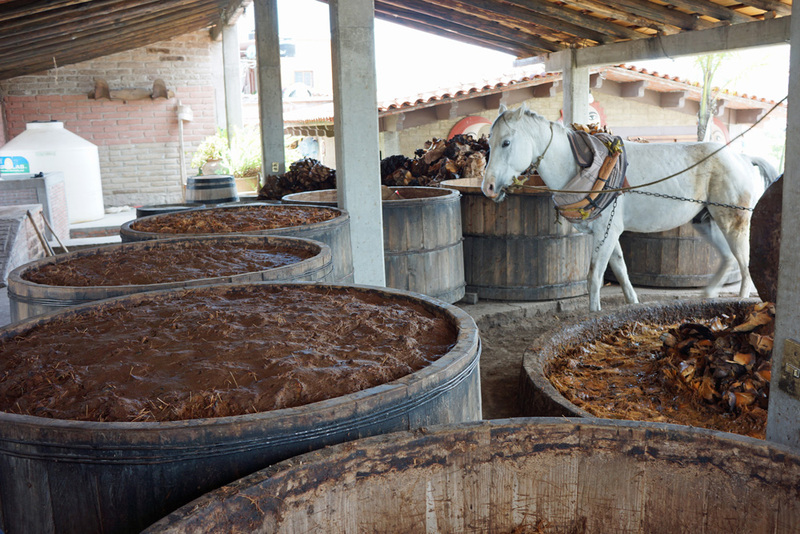 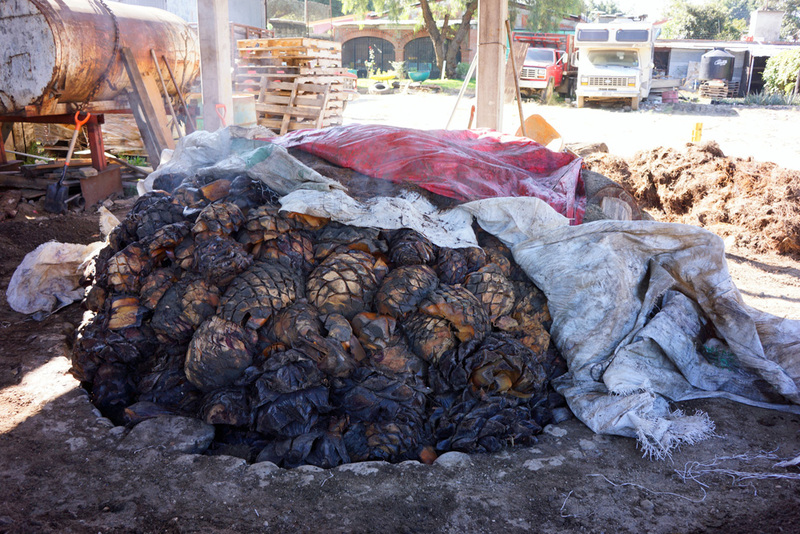 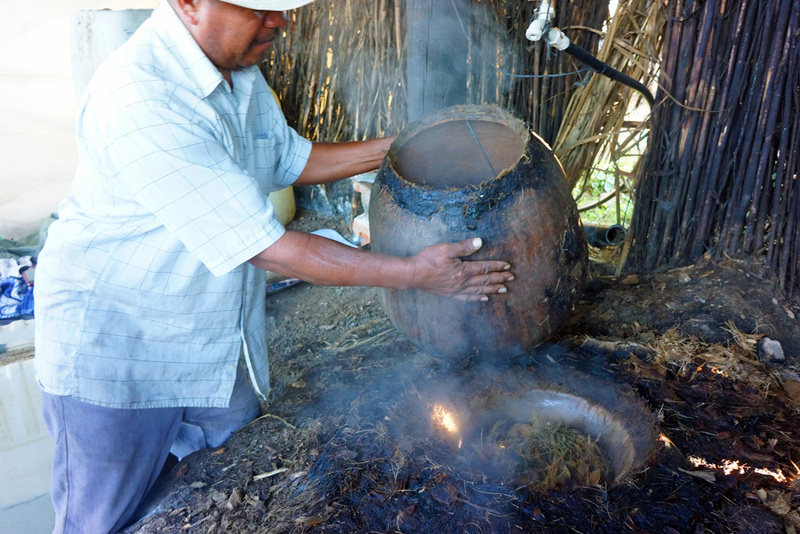 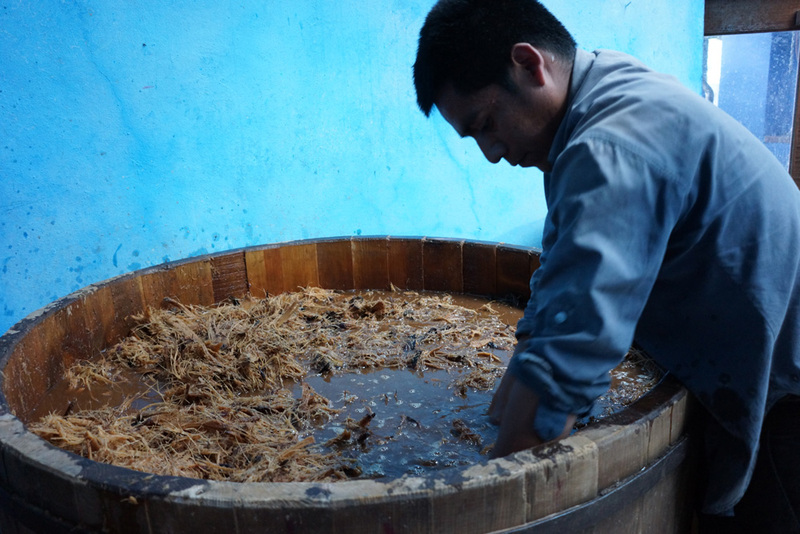 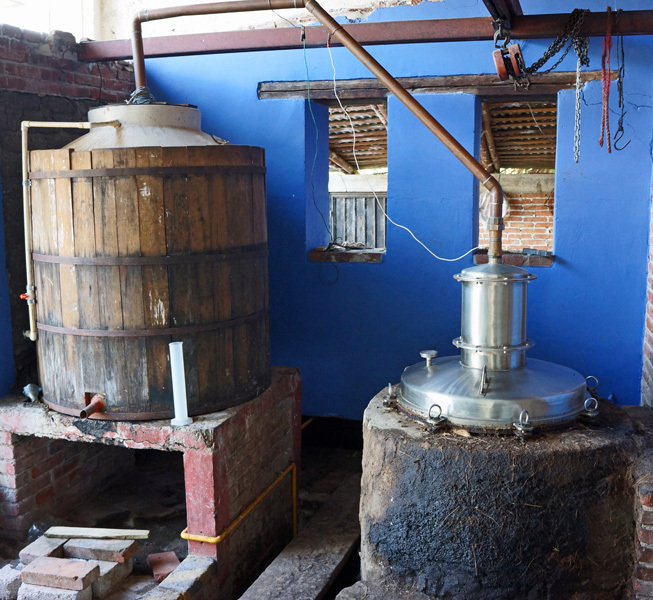 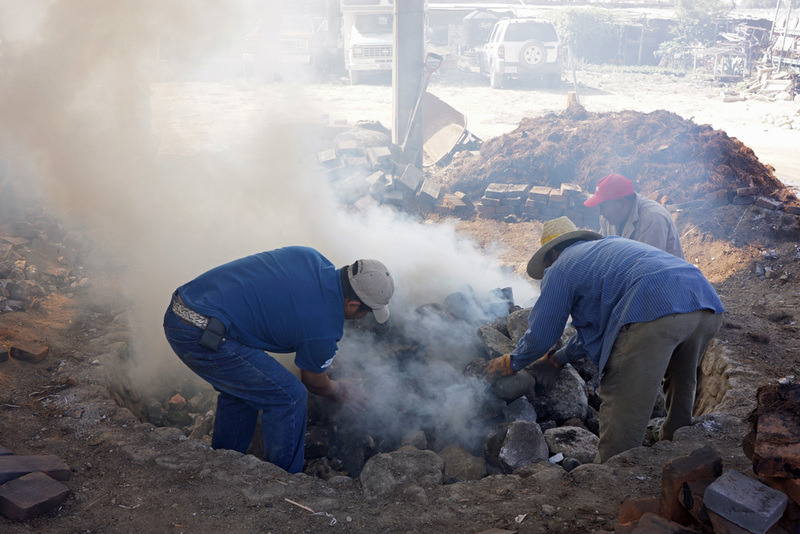 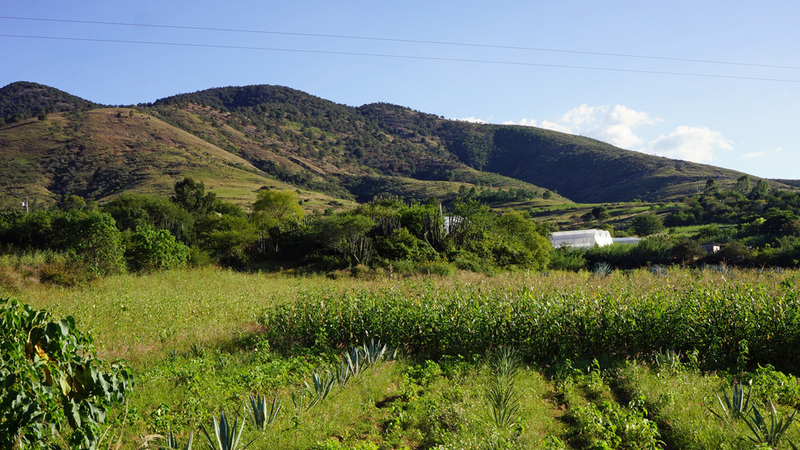 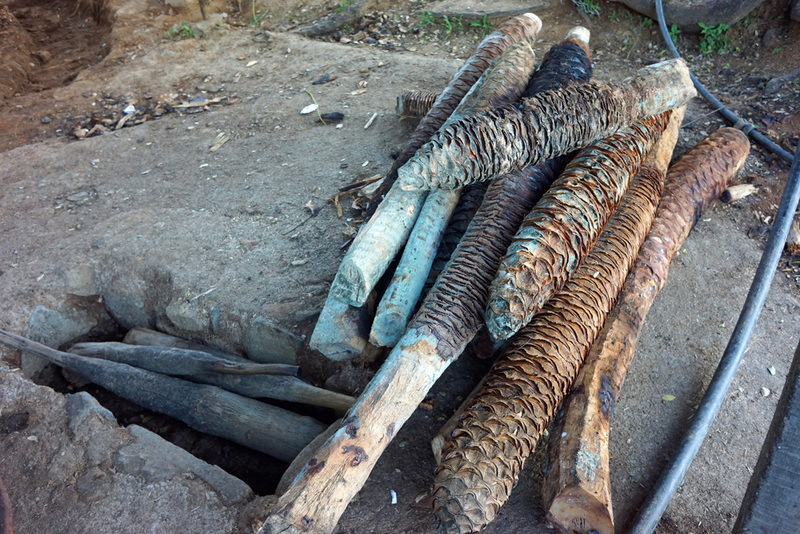 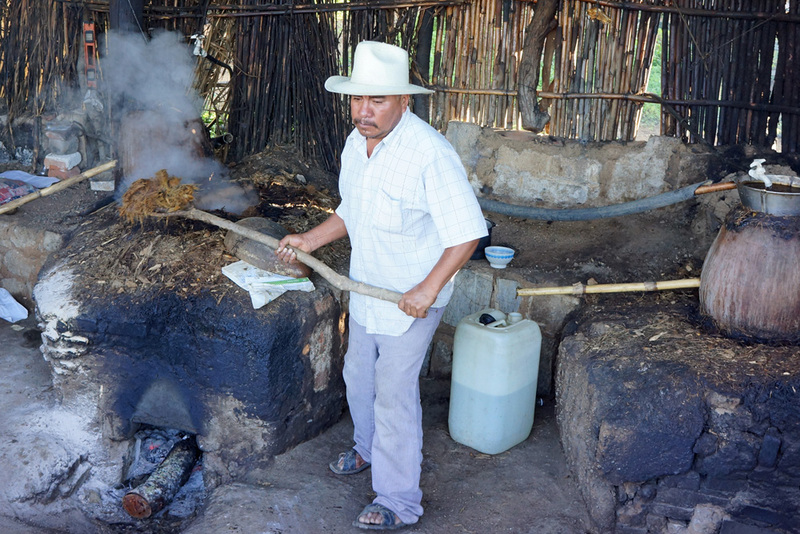 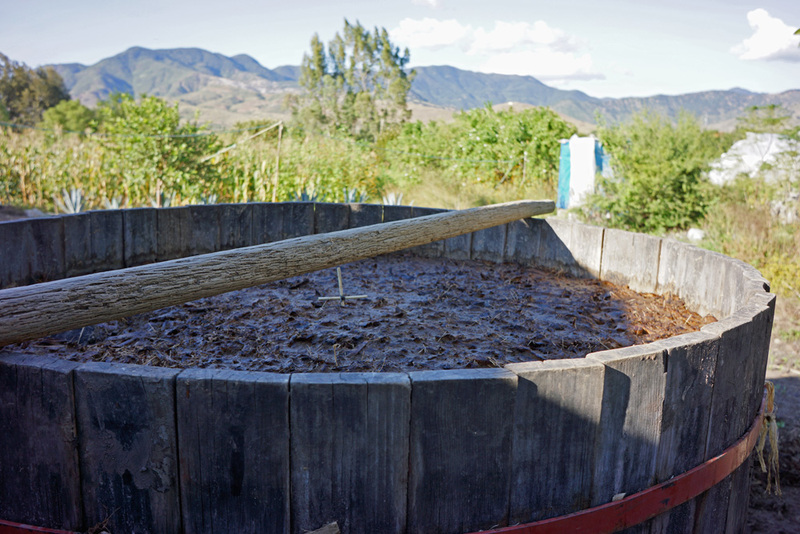 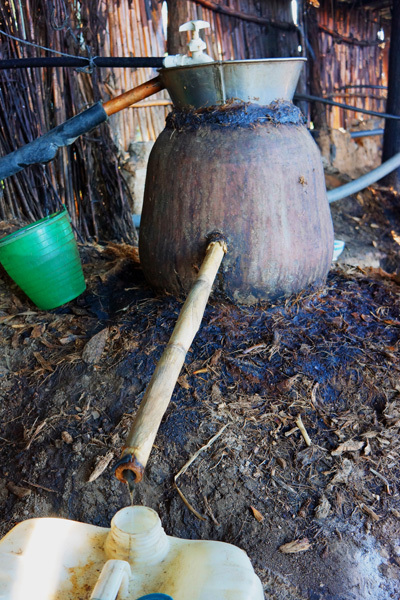 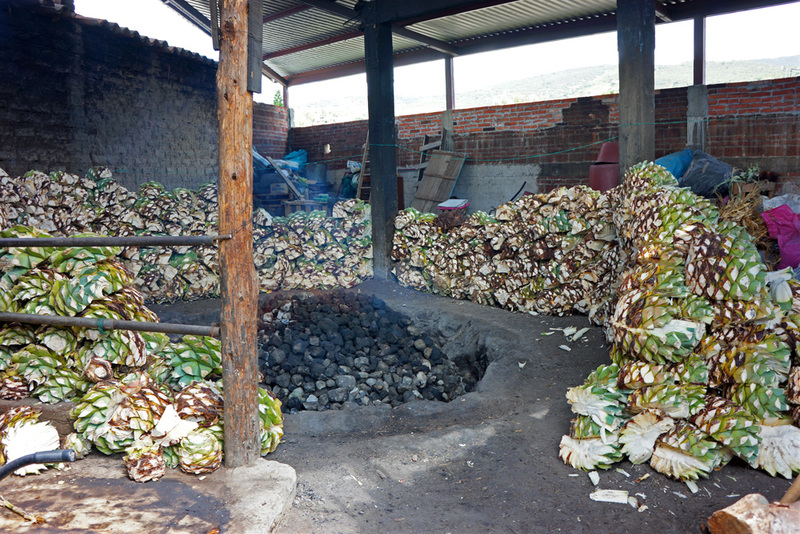 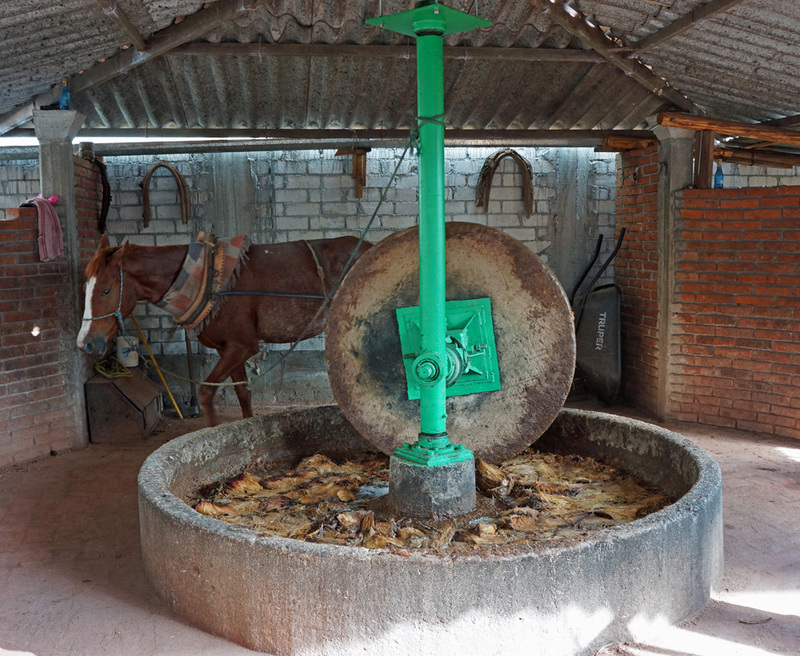 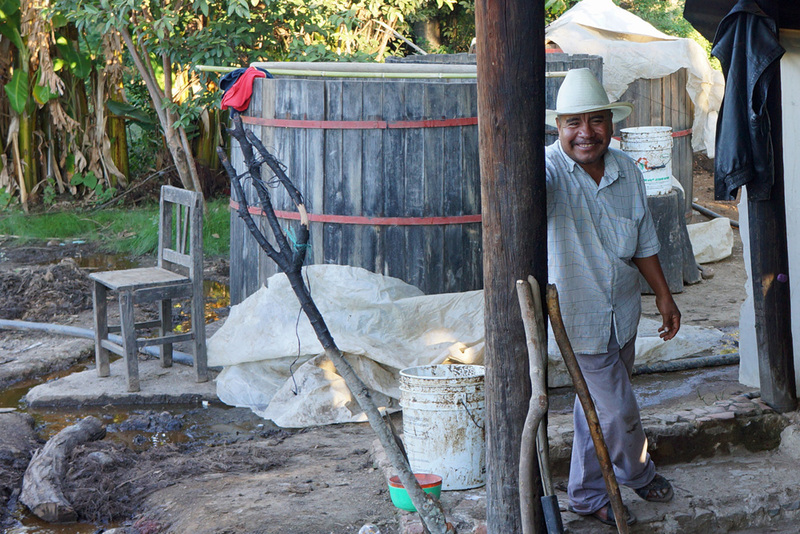 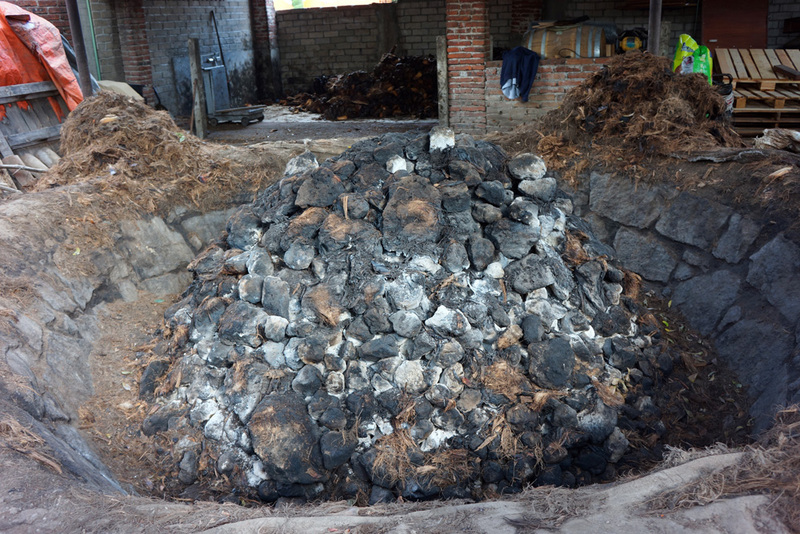 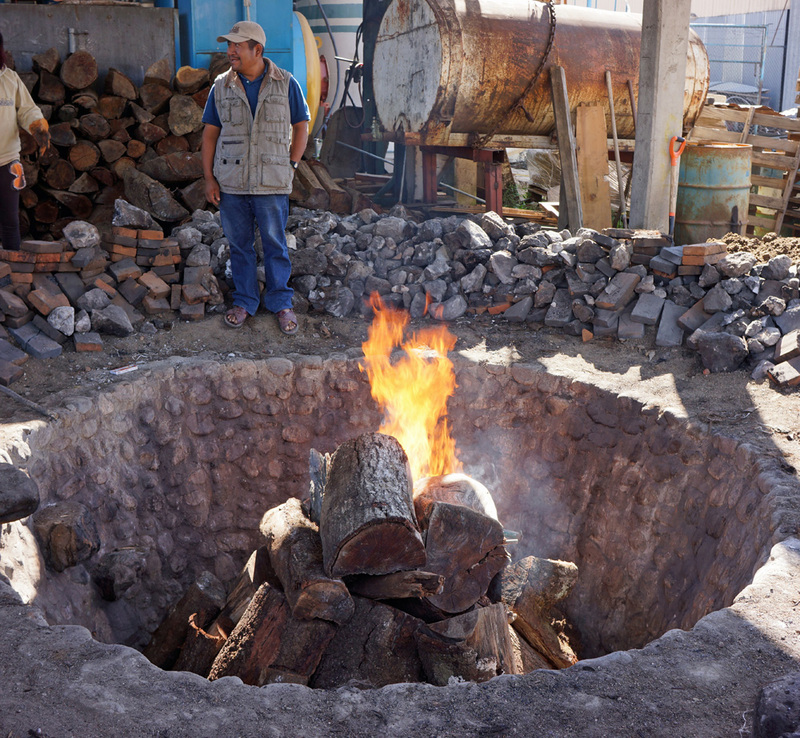 While Tequila production has been refined and modernized over time, most Mezcal producers in Oaxaca still use the same rustic methods that were developed hundreds of years ago. 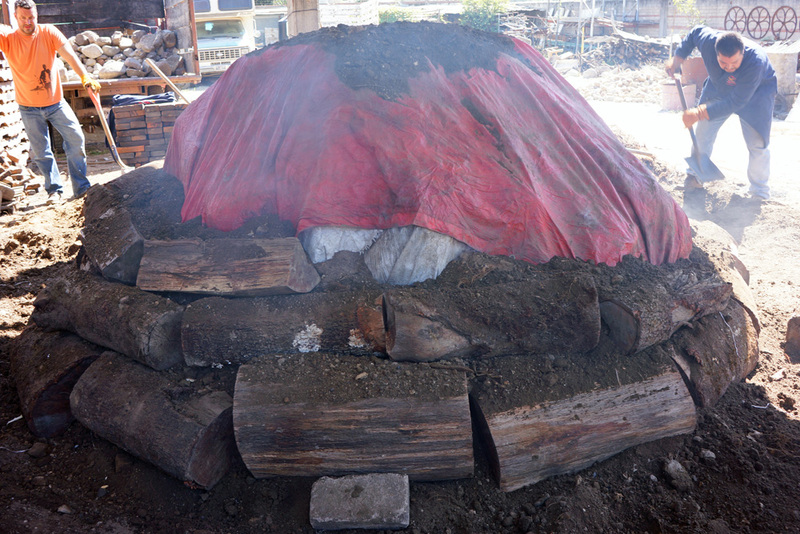 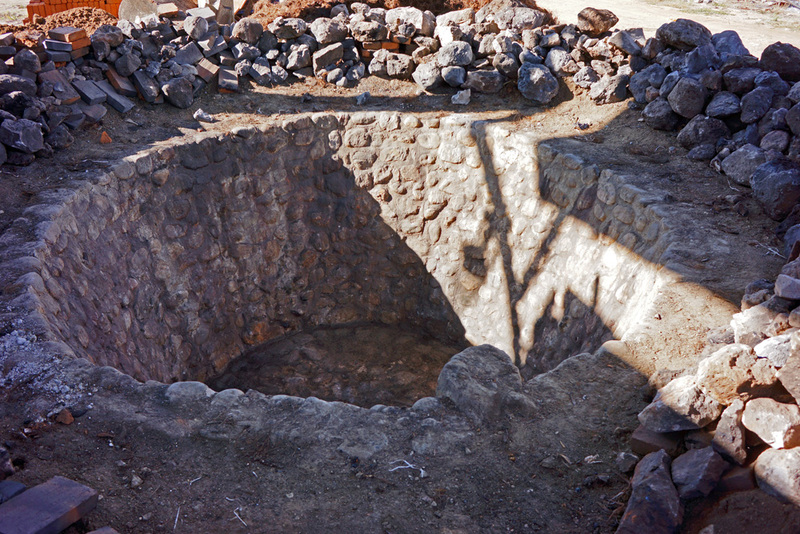 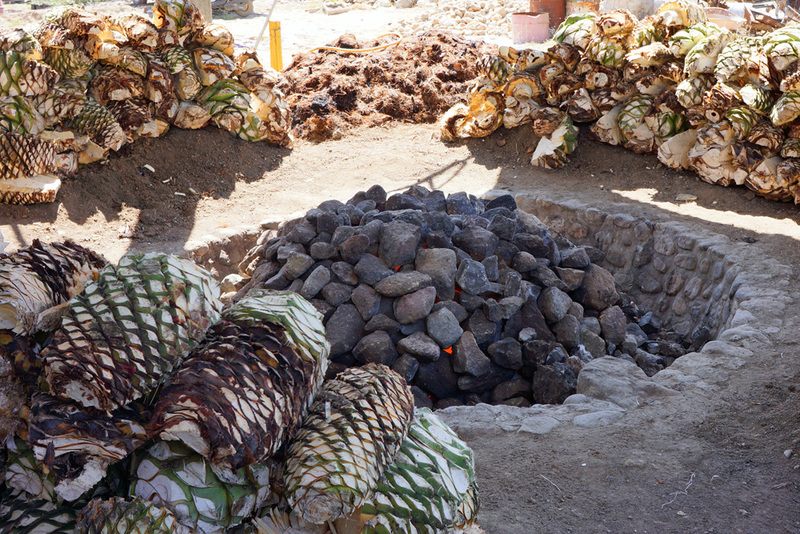 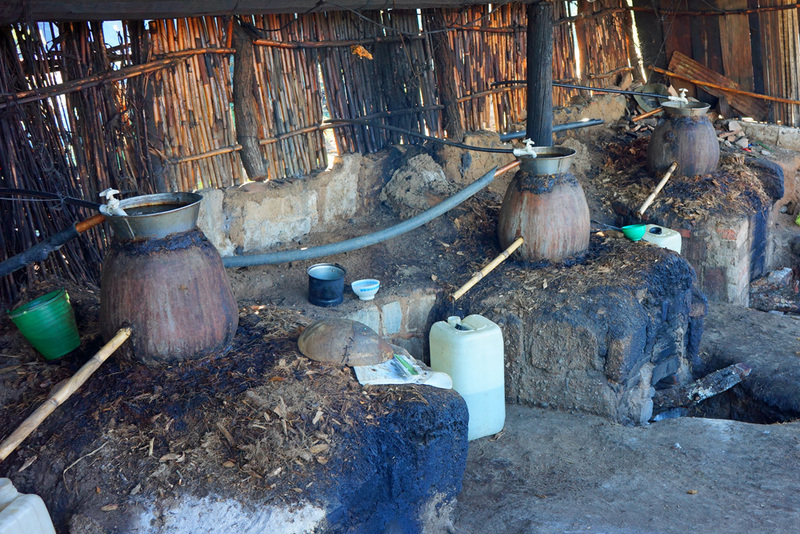 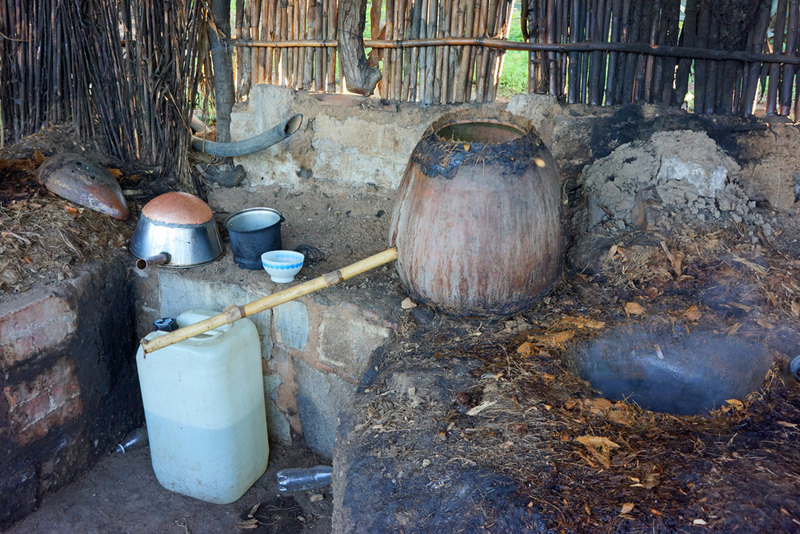 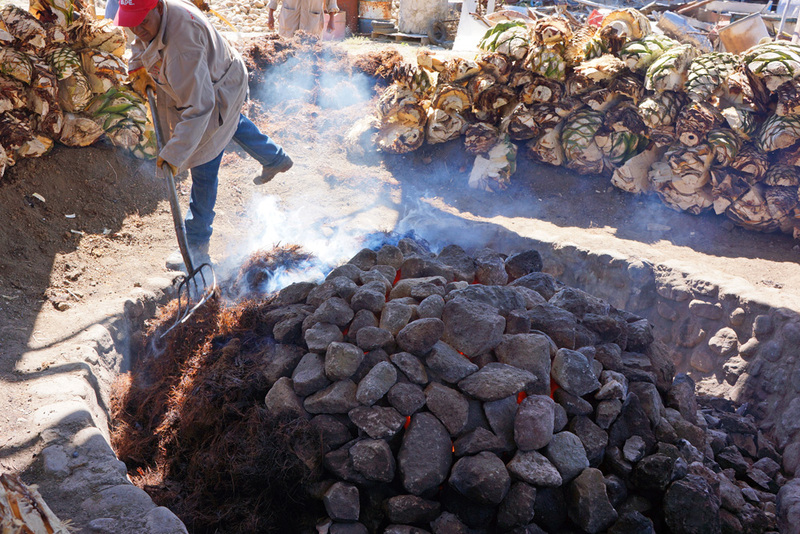 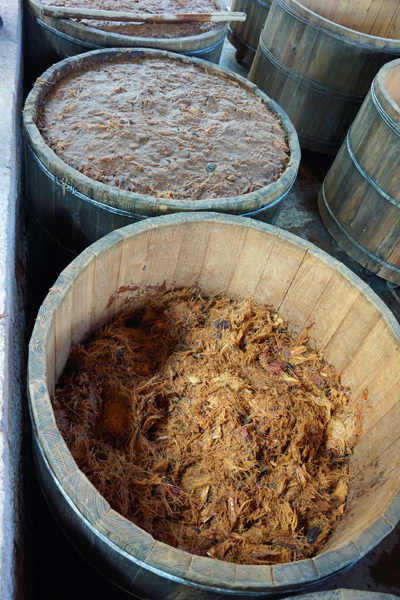 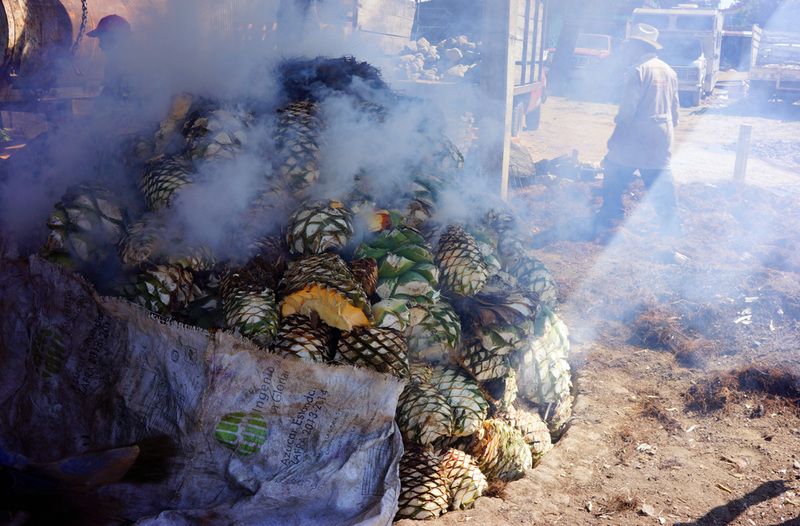 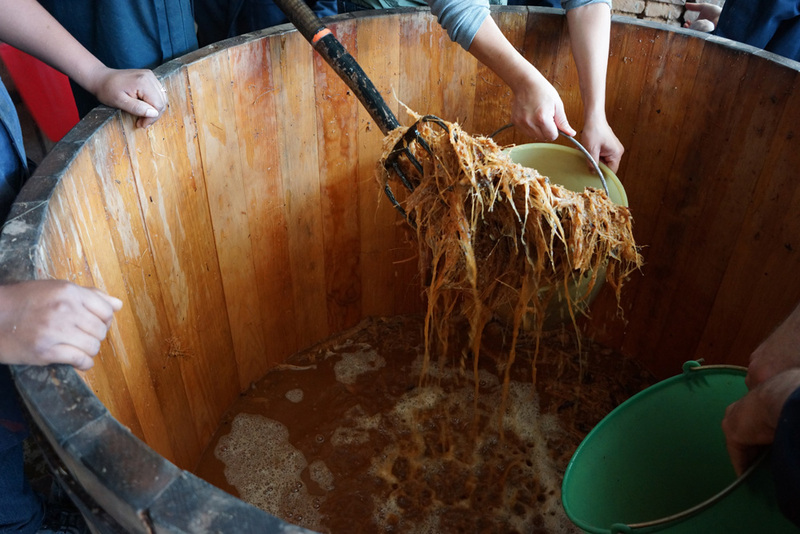 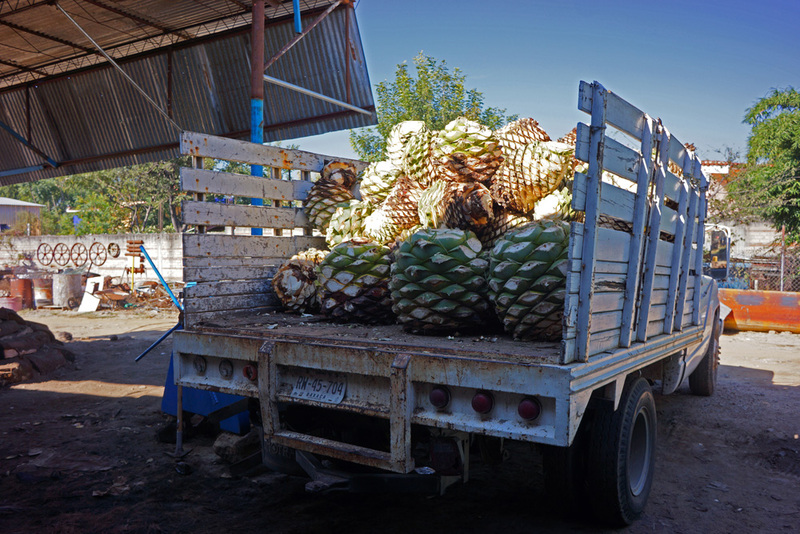 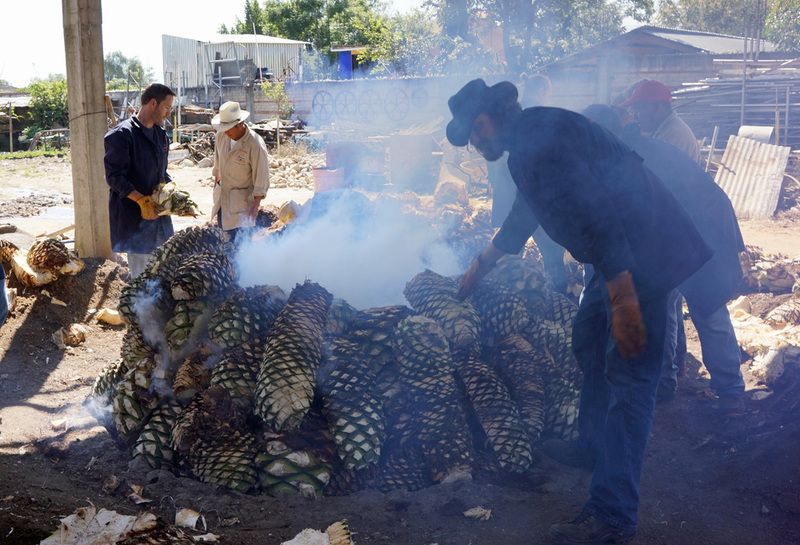 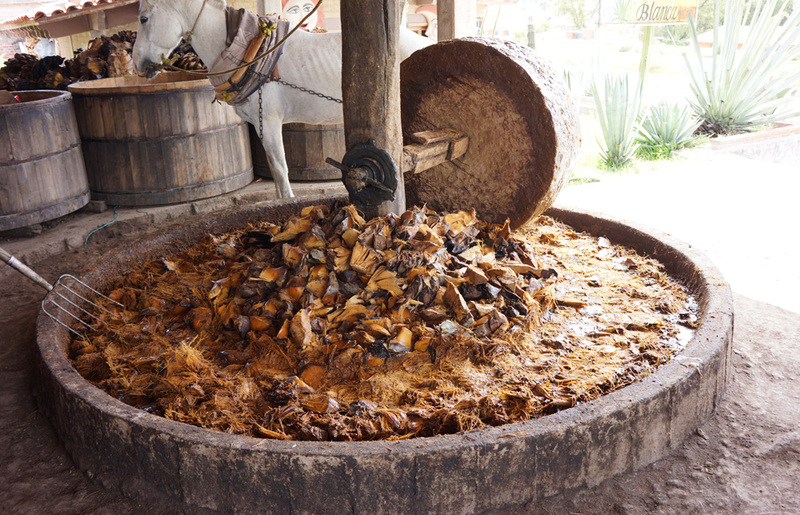 The agave are still roasted in underground wood-fired pits, the piñas are mashed with a horse tethered to a large grinding stone, and the mash is distilled in small clay or copper pot stills. 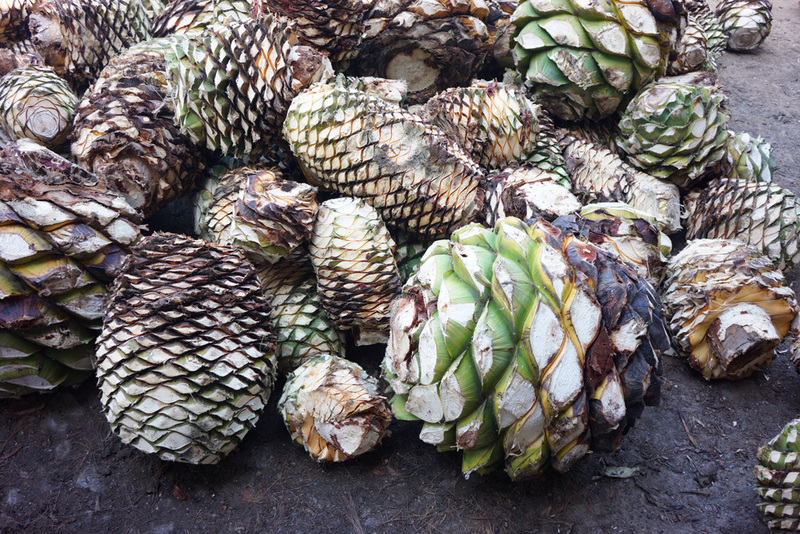 In this way, Mezcal is like Tequila’s rural cousin. 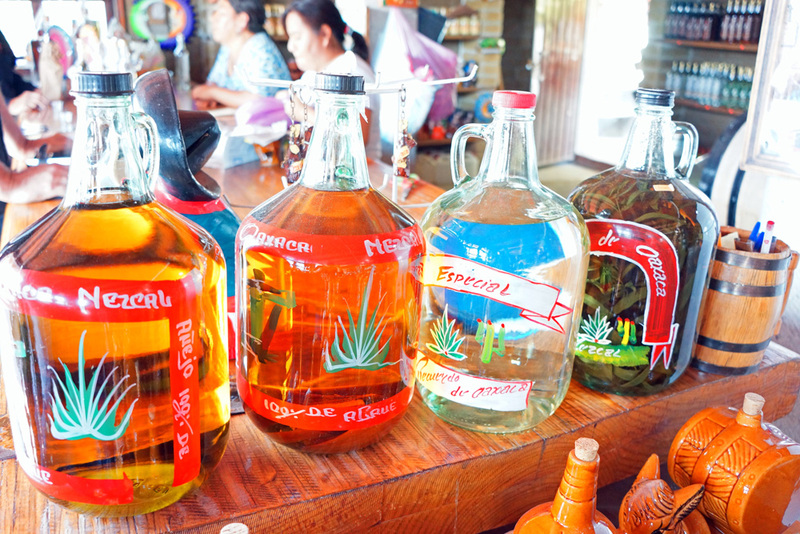 Yet, the taste, variety and complexity of Mezcals are unrivaled. 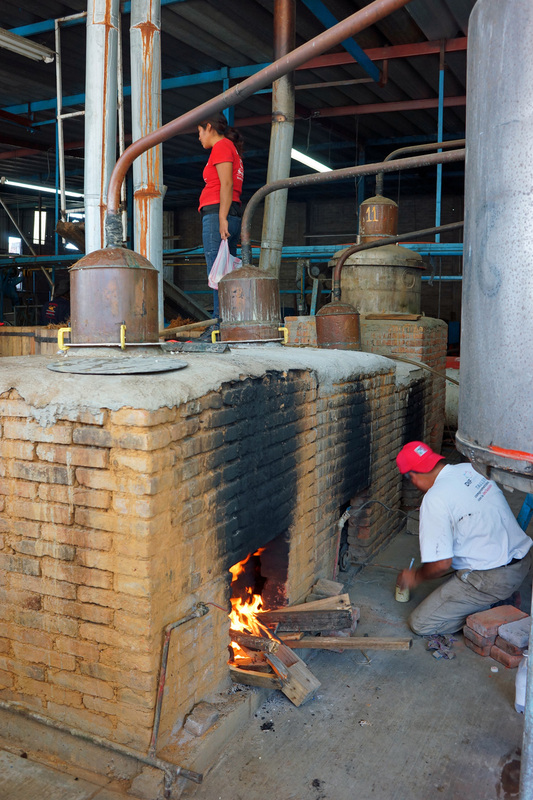 Most of all, Mezcal tastes like the place where it was made. 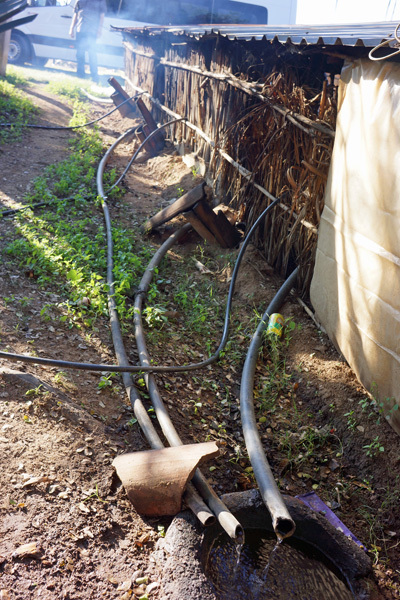 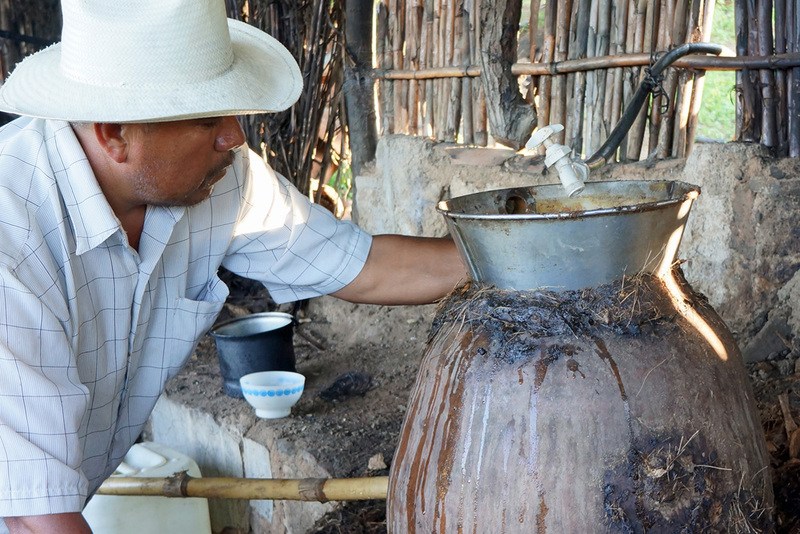 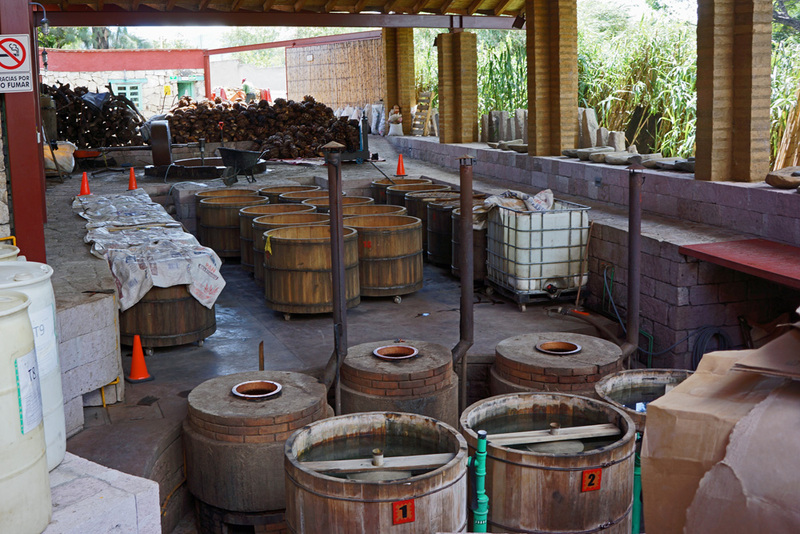 So each handcrafted Mezcal is unique from one village to the next, and each one is truly a revelation. 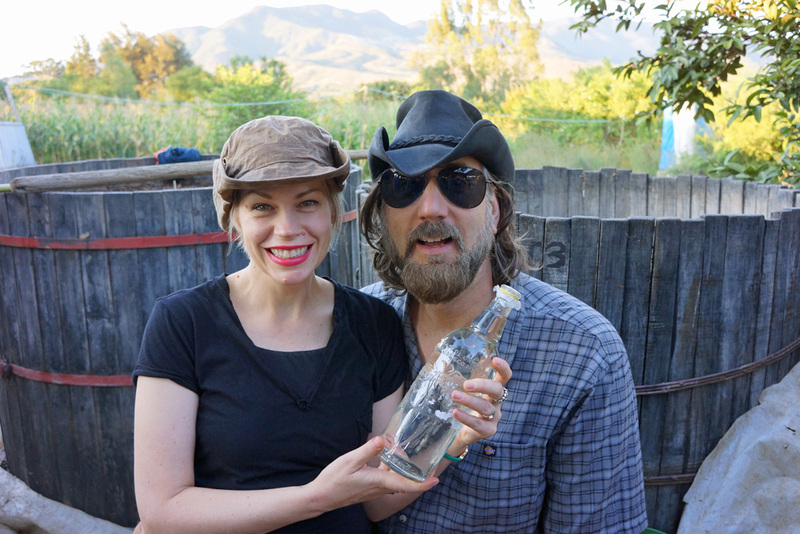 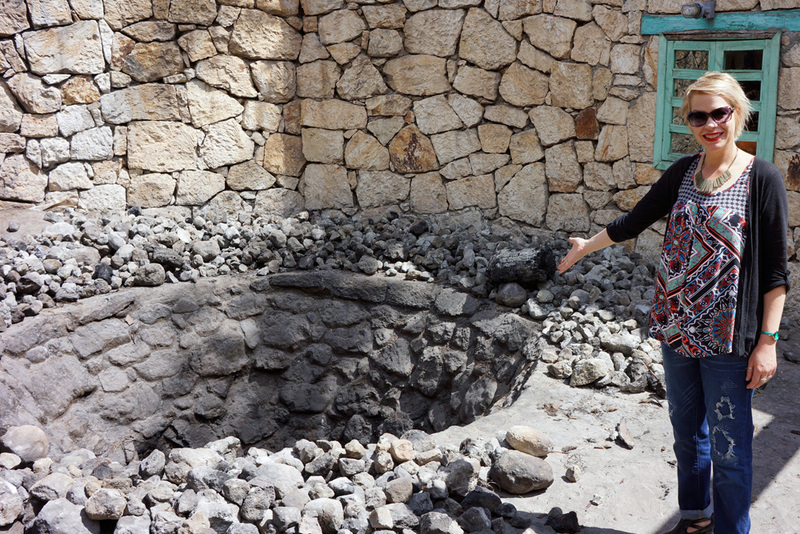 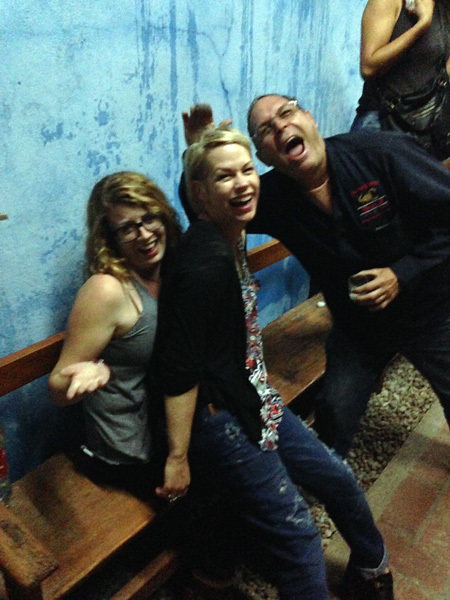 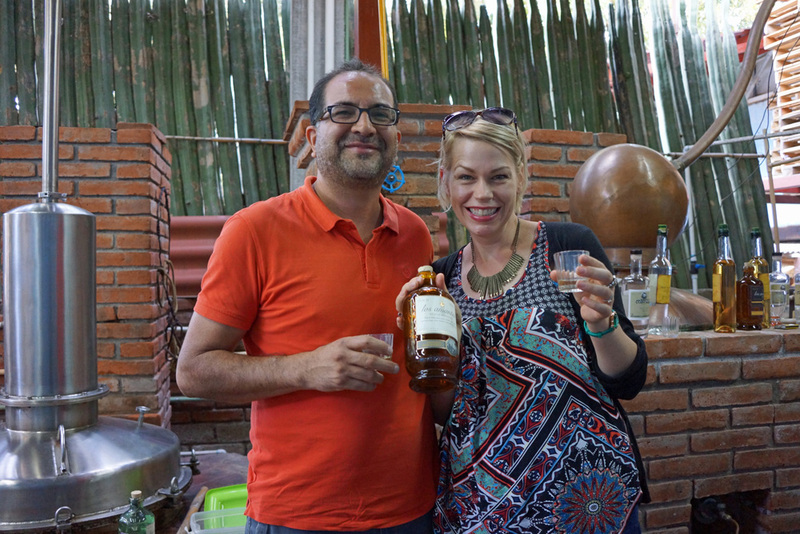 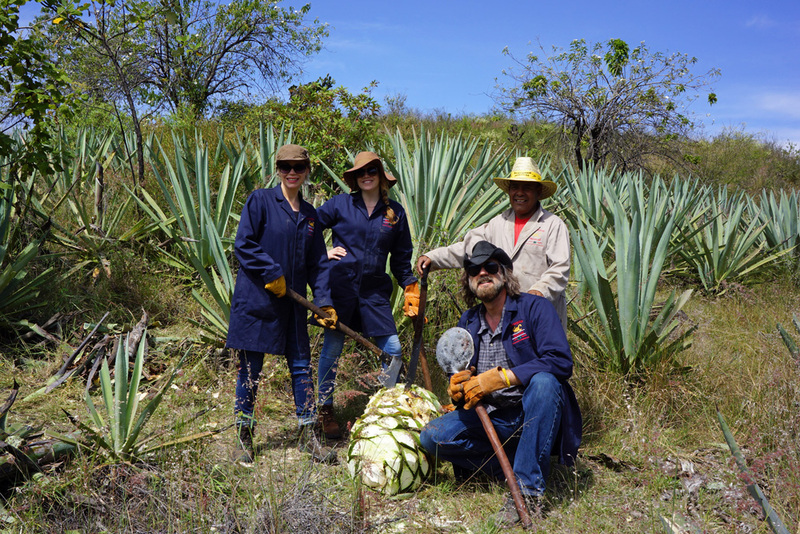 Kristen and Michael, owners of Bone Garden Cantina, and their General Manager, Tricia, recently traveled to Oaxaca to experience traditional Mezcal production first hand. 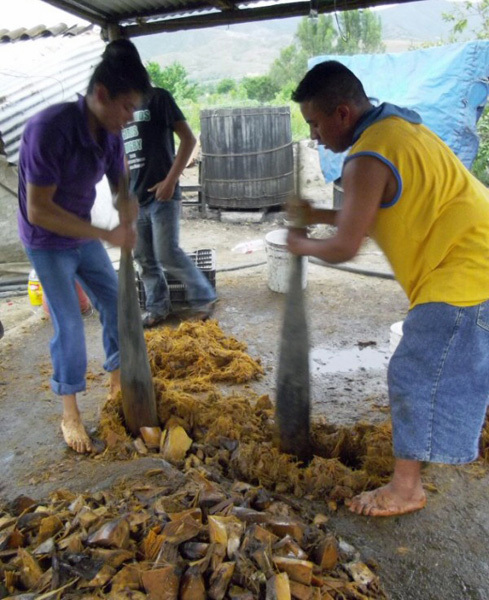 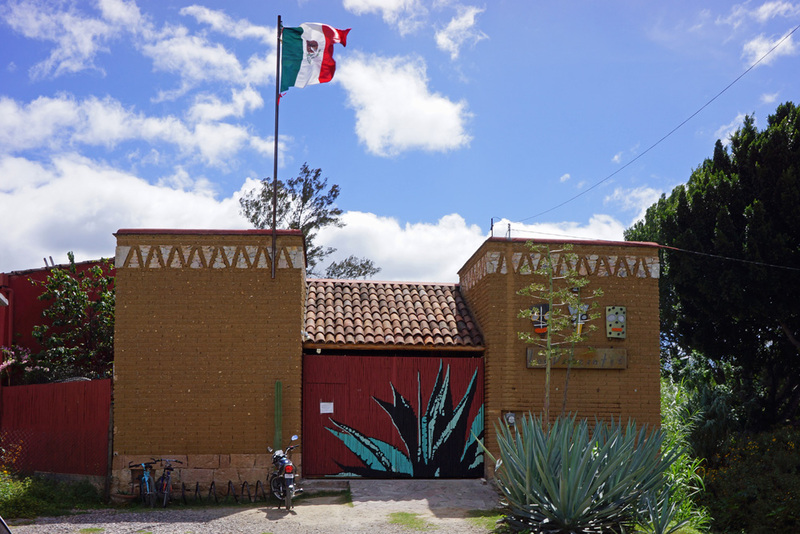 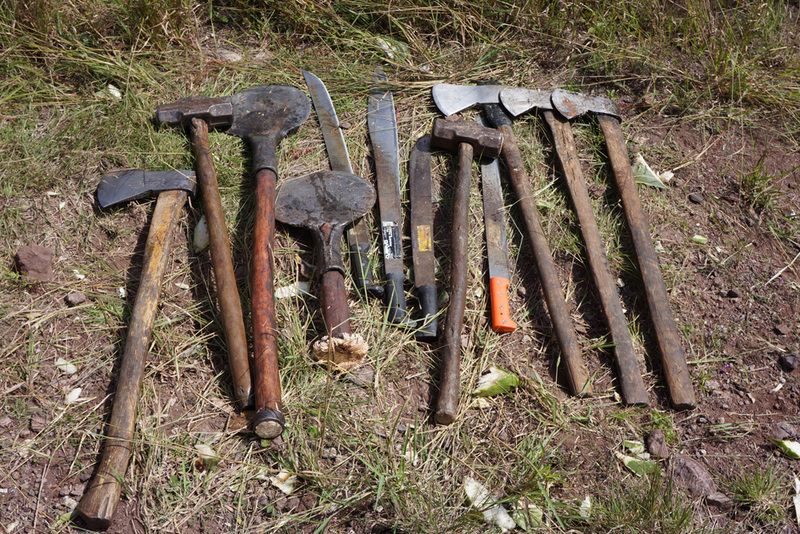 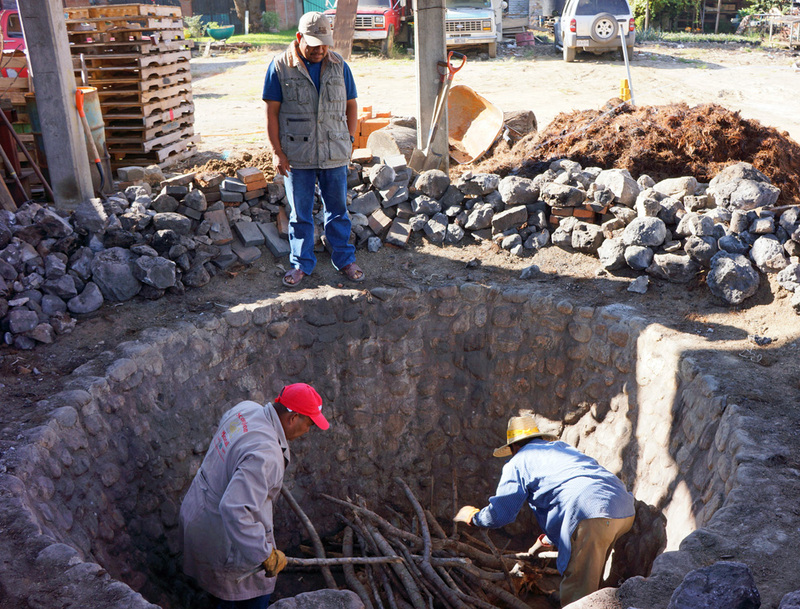 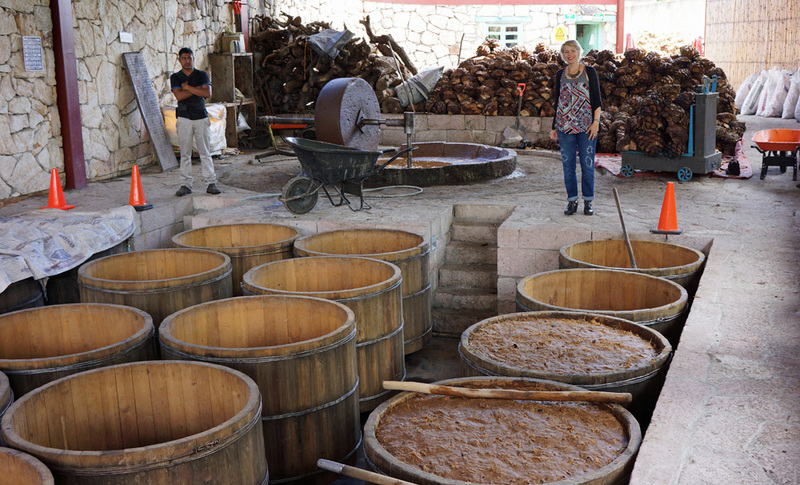 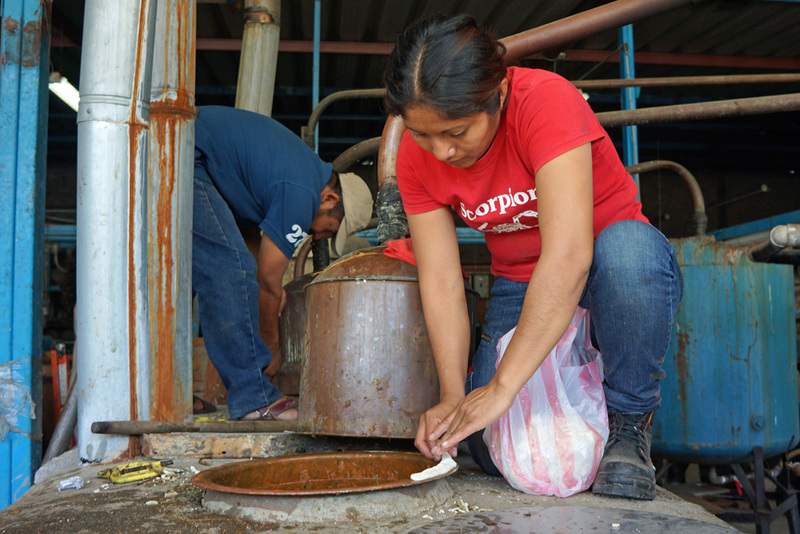 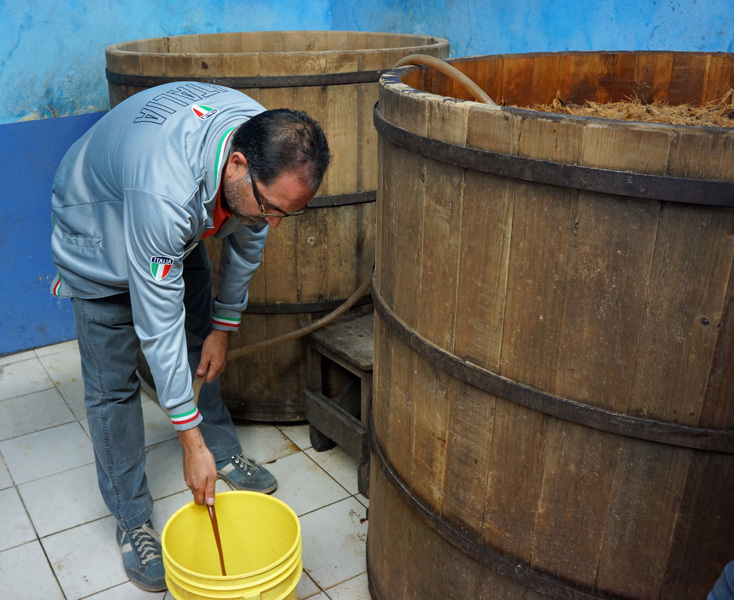 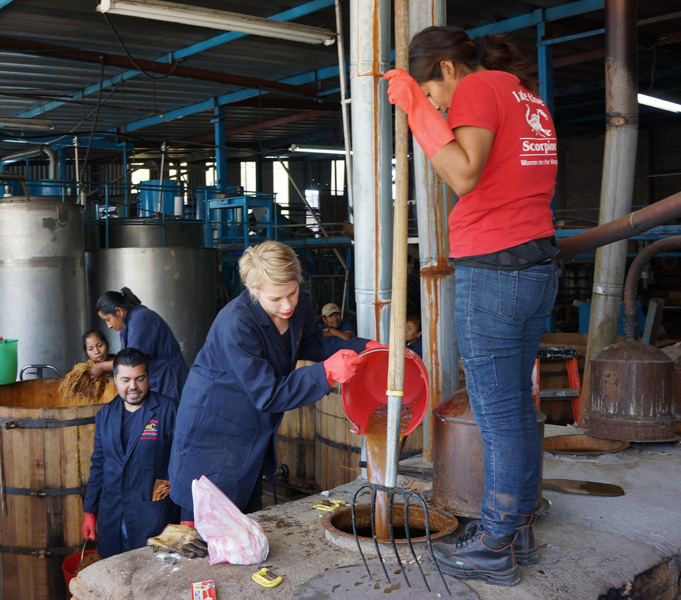 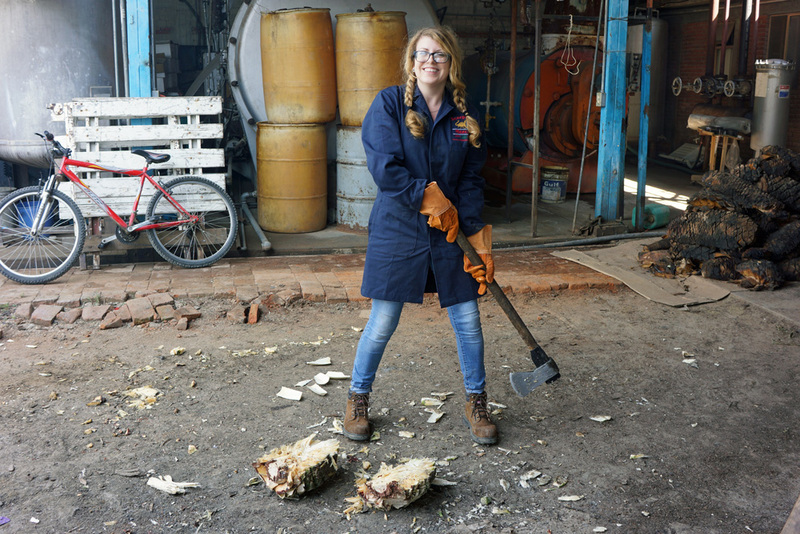 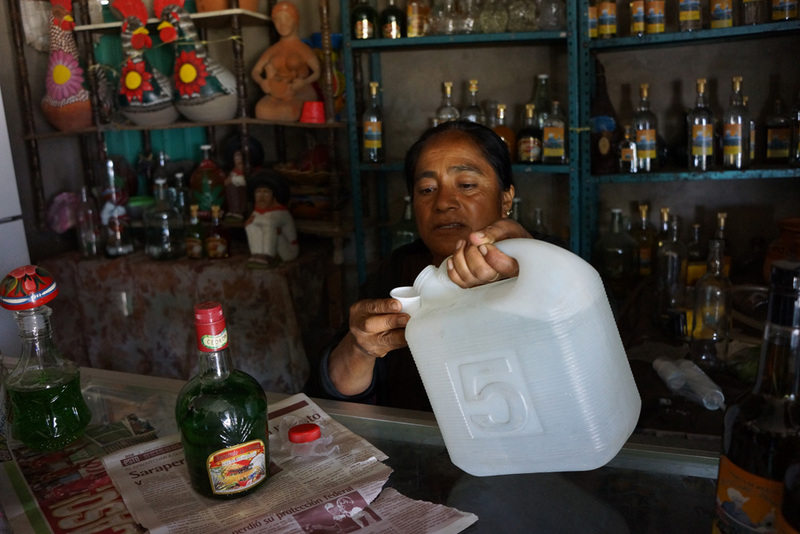 They completed the Master Mezcalier program in Oaxaca, which is sponsored by the Mexican government to teach industry professionals about the history and craft of Mezcal. 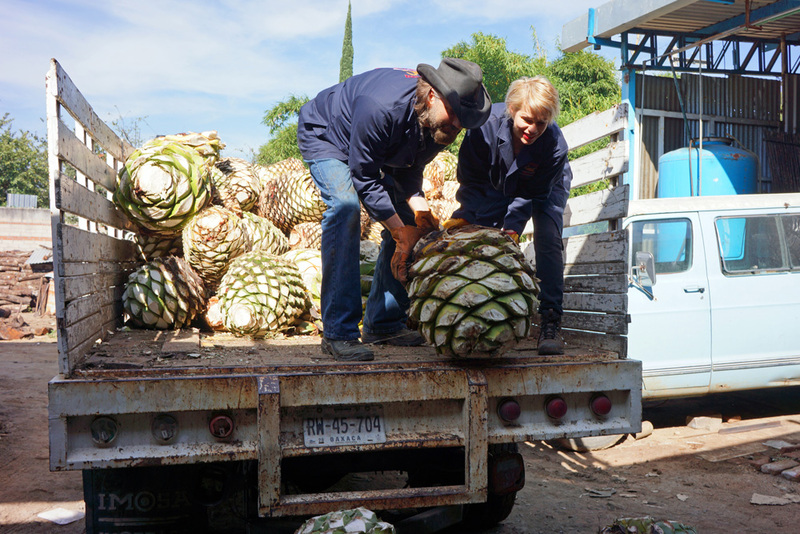 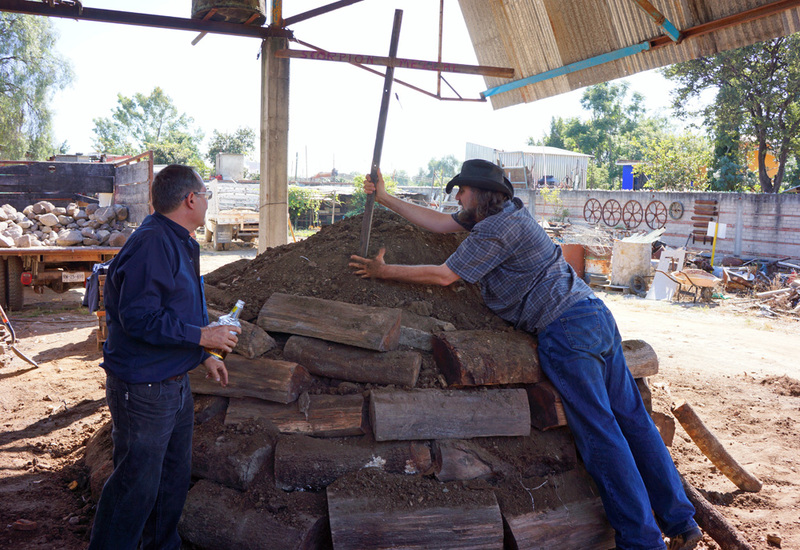 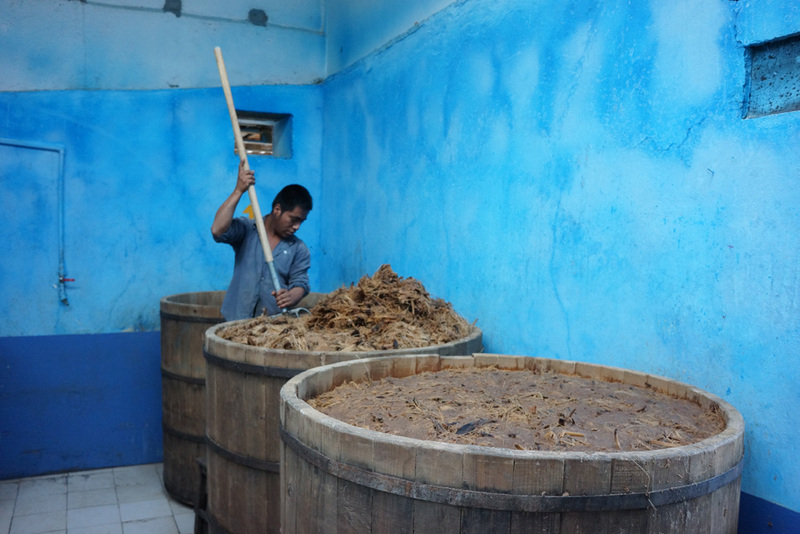 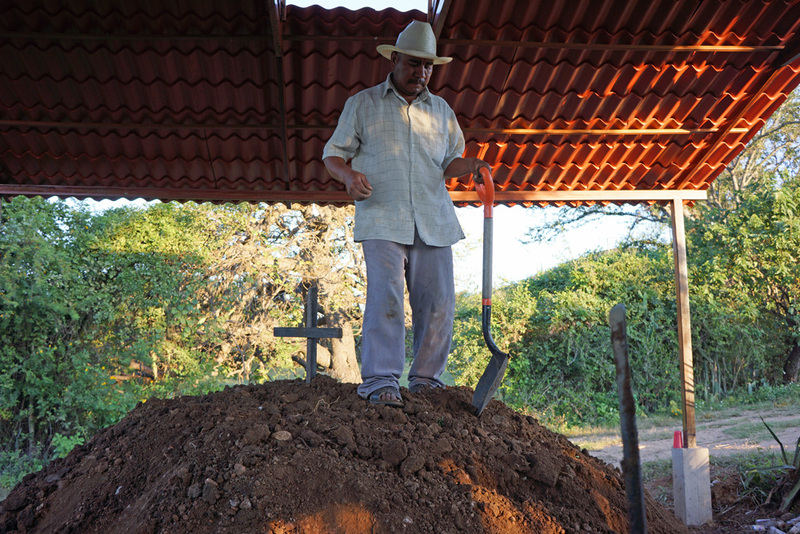 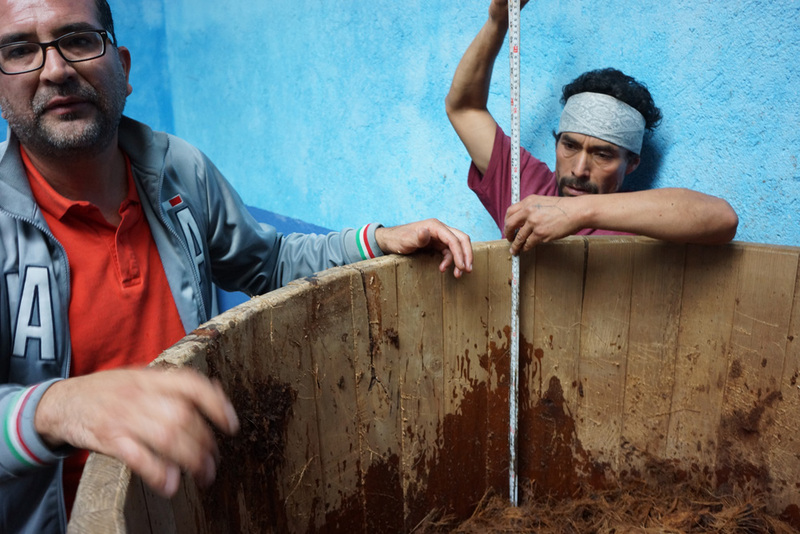 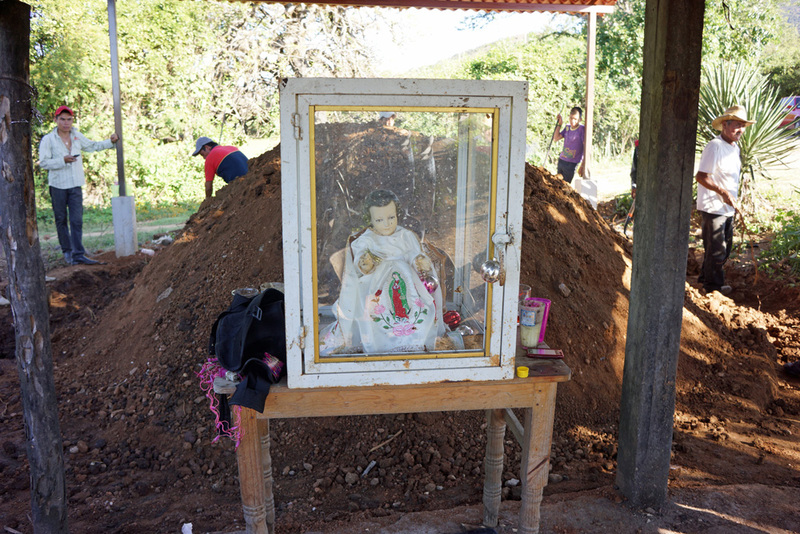 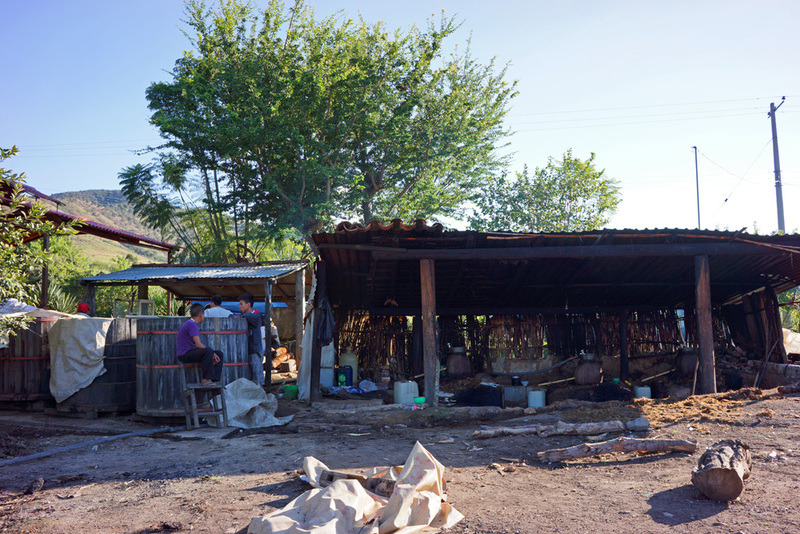 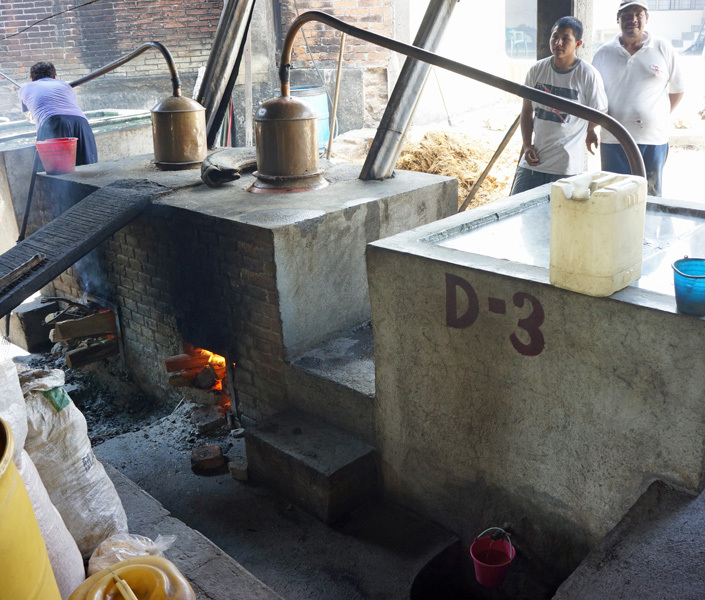 Here are some of their favorite photos from this trip that explain the steps of crafting artisanal Mezcal, and also reveal the passion, family tradition, sense of place, and hard work that go into each bottle.